One of the most difficult parts about using Facebook is knowing exactly who is going to see the things that you post on your profile. It’s not the most user-friendly experience, but luckily we now have an app for that. 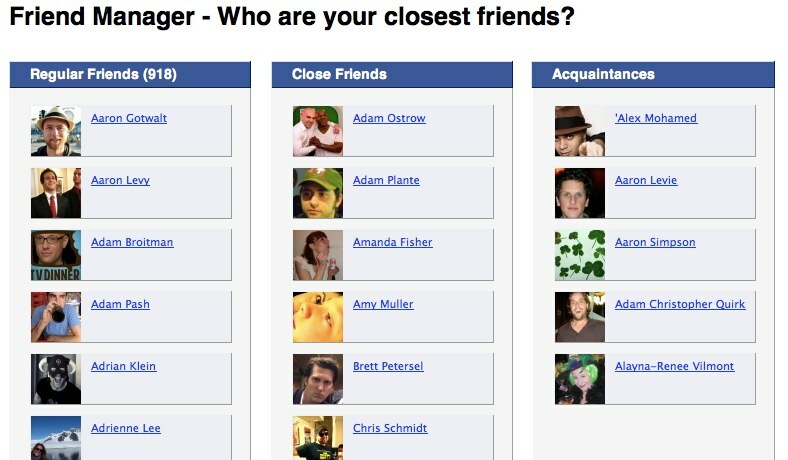 Friend Manager comes via former Blip.tv CEO and current Facebook Product Manager Mike Hudack and lets you drag and drop friends into three different buckets; Regular Friends, Close Friends, and Acquitances. 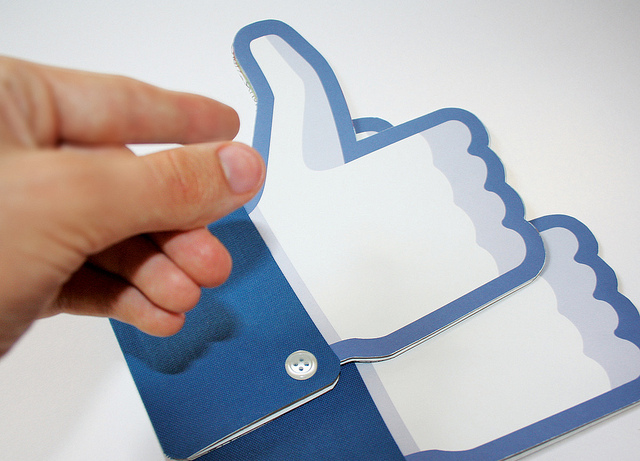 By using the app, you’ll now have a better grasp on how to use the friends list feature on Facebook. In the same way that Google+ has made “privacy” an afterthought with its Circles premise, Facebook friend lists hope to do the same thing. Until now, I’ve found them to be confusing but Friend Manager makes it clearer. While Hudack works at Facebook, this is an unofficial app. As soon as you get started, all of your friends are loaded into the “Regular Friends” or “Close Friends” bucket. The latter is automatically generated by Facebook based on your usage. 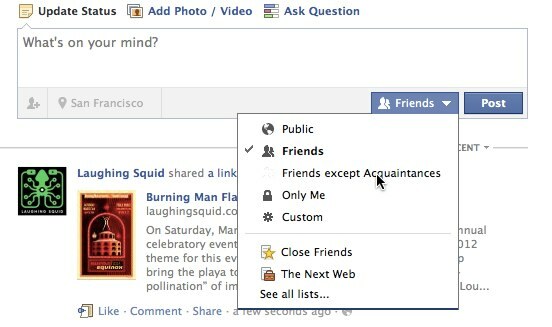 This is definitely a visual approach that Facebook should embrace and integrate as part of its friends list functionality. The ease of sliding people in and out of Circles has made it easy to onboard new Google+ users, and an approach like this does the same thing.